Two step (or 2Step as it’s more commonly known to distinguish it from the American Cajun and country dance style) grew out of garage music with a strong influence from the jungle genre of the mid 1990s. Although it bears a great similarity to garage (and it can be difficult to tell the two apart), the kick drum hits on the first and third beats of the bar, with the higher snare drum accenting the second and fourth beats. You can hear the influence of jungle in the skittering patterns of the hi-hat (all of this, of course, is produced by a machine, not a real drummer). The bass lines tend to be short, influenced by reggae, and at times the bassline may be the centre of the track. Other cuts go for a lighter feel, with vocals over the top, usually with an R&B feel to them. 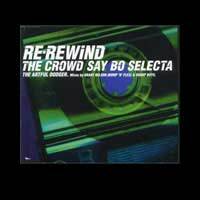 It was with 2Step that singer Craig David first came to the fore, voicing the track Re-Wind with producers The Artful Dodger, the first salvo of 2Step in 2000. Although it emulates jungle in a way, but with a greater emphasis on the type of syncopation found in R&B, 2Step’s closest cousin is garage, and many see it as a slowed-down form of speed garage. It came originally out of the London clubs and pirate radio stations, since which it’s travelled the world, with strong scenes not only in many European countries, but also in cities across the U.S.
It’s warmer and more enticing than jungle, with a greater female appeal than most of the less poppy dance styles. That in itself is significant, since dance music has been, by and large, made by males for primarily male audiences. But True Steppers, with True Stepping and Out Of Your Mind (voiced by Victoria Beckham) showed 2Step had a crossover female appeal. 2Step continues to be popular, played and made around the globe, with Todd Edwards still a seminal figure, and remixes vitally important as an art form (it’s quite common to hear remixes in several different styles, both garage and 2Step). It’s easy to hear similarities between 2Step and the hip-hop productions of famous studio creators like Timbaland, who exists at the cutting edge of his genre. At the same time, raga and dancehall has been an important factor, which means it is music that could only have come from Britain, where these all exist as urban genre. 2Step has become an important and influential genre in its own right, although it’s stylistically limited, and remains so close to garage that, for most people, the two styles can seem interchangeable. There are those who feel that 2Step has dried up, but the simple fact that new tracks have kept appearing would seem to belie that. However, its future might well wither, as it migrates back into garage, which seems to offer more stylistic possibilities. However, whatever happens, 2Step has proved to be a powerful force on the urban music scene.